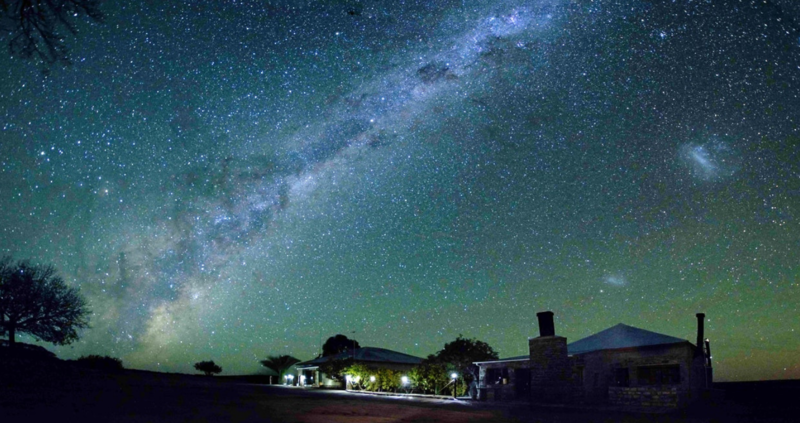 Have you heard about astro-tourism in the Northern Cape? When I think of the Northern Cape, the first things that come to mind are the vast landscapes, extreme heat ─ and of course sheep! But there’s so much more to this unique province than we think. Recently the Northern Cape’s sweeping landscapes and clean air has been recognised for its advantageous astro-tourism opportunities. This new craze is unique to South Africa, since many countries are too polluted and cannot practice astro-tourism. In 2018 the South African MeerKAT telescope was launched just outside Carnarvon ─ the first of its kind in South Africa and Africa. The MeerKAT is a precursor to the greater Square Kilometre Array (SKA) project, which is an international effort to build the world’s largest radio telescope to monitor and survey the sky in detail and at a much faster rate than any system currently in existence. Not only has employment in the area increased, the residents are said to benefit from the new addition. 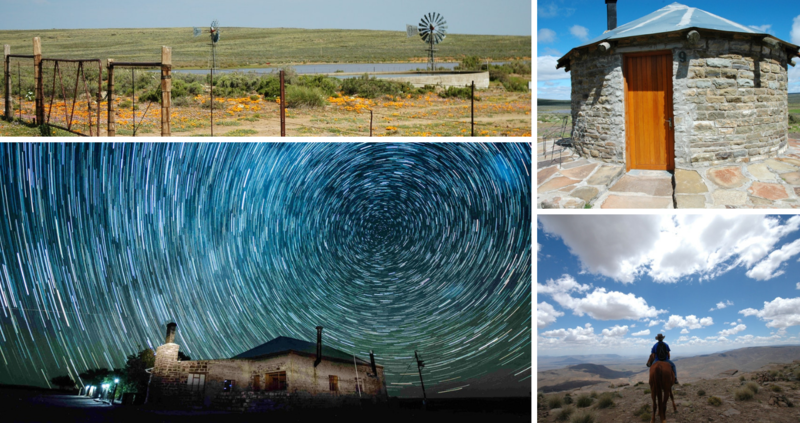 Five routes to explore the wider Karoo area have also been developed in assisting tourism and it’s a great kick-start for astro-tourism. The popular Southern African Large Telescope (SALT) just outside Sutherland is among the largest in the world and has been a popular attraction in the Northern Cape with approximately 14 000 annual visitors. The tours offered at SALT are not only informative but captivating and give visitors the opportunity to see the night sky through the world-class telescope. South Africa is also fortunate to have a neighbouring country practising astro-tourism. Namibia has the first International Dark Sky Reserve in Africa, which not only contributes to ideal stargazing nights, but also boosts ecology within and around the reserve. It is a life-changing interaction with nature to witness these dark skies. Another added bonus is that the Southern Hemisphere contains the brightest part of the Milky Way! Life doesn’t get any better than a tranquil getaway with family! 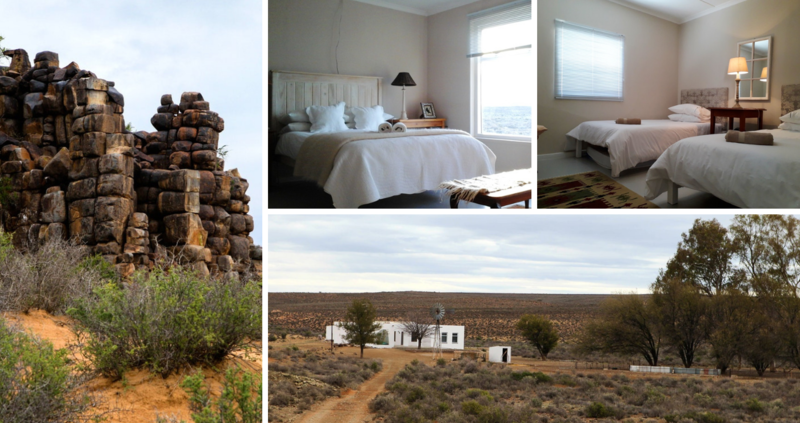 This working farm is set on 13 000 hectares of land near Loxton with an abundance of wildlife. Guests can explore the wide open spaces by foot, bicycle, on horseback or even on a game drive. 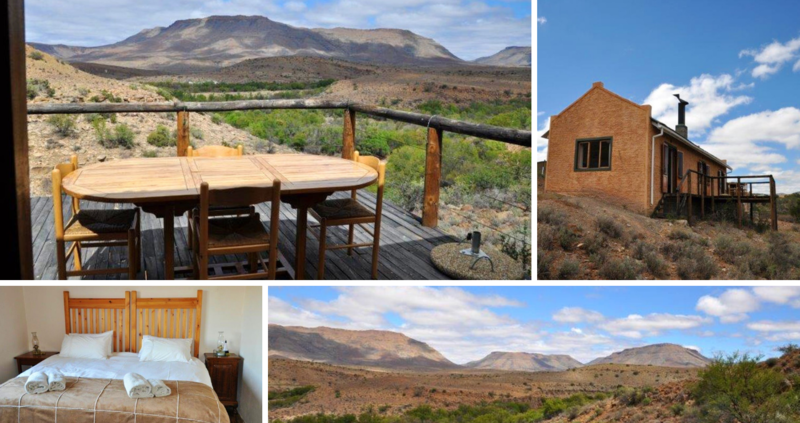 In the middle of the Karoo, you’ll find this quaint cottage just 20 kilometres from Williston. There’s a stunning veranda from where you can enjoy panoramic views of the farm and a dam to cool off in on hot summer days. You can also embrace nature and enjoy various outdoor activities on the premises. 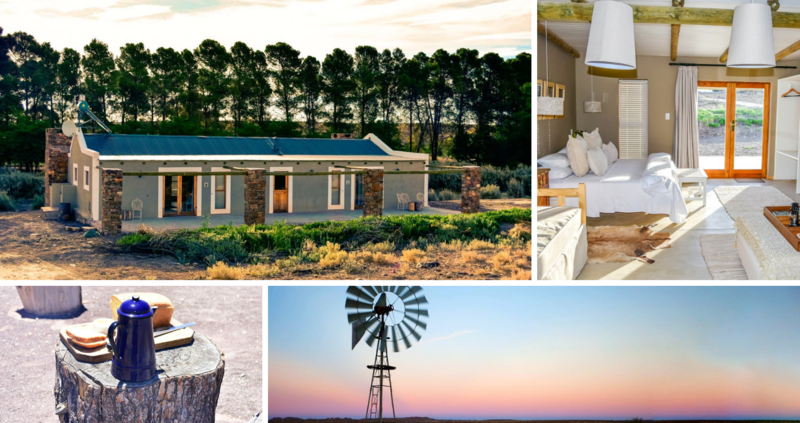 This beautiful guest farm is on top of the escarpment of the Roggeveld mountains and just a stone’s throw from Sutherland! It’s a great destination for the whole family to enjoy outdoor living and the country life. Keen to experience a holiday off the grid? With unspoilt landscapes and a stunning view from the veranda, there’s no better location for an escape than Tamboershoek! Guests can also enjoy game viewing and try to spot a rare Berg-Patrys. Please note, this establishment doesn’t have electricity, cell phone or TV reception. Get closer to nature by spending the night in a tent! Don’t worry, you won’t have to ‘rough it’ for a night in nature. 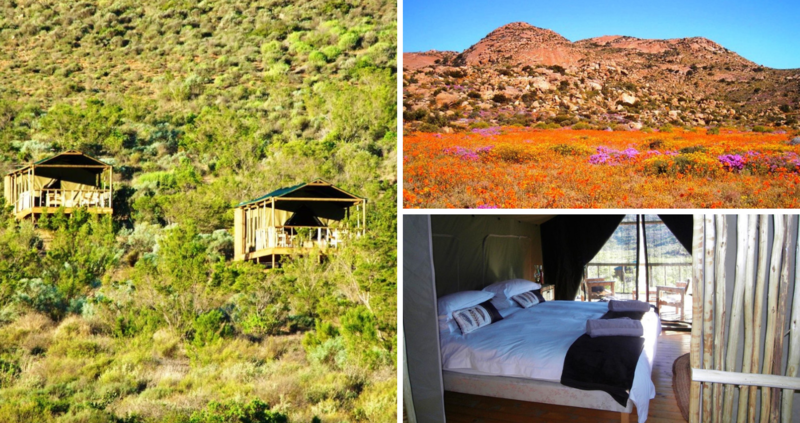 Agama Tented Camp is a luxurious glamping getaway offering vistas of the unsurpassed beauty of Namaqualand. ─ The best time to go stargazing is the days before, during and soon after each new moon. The moon is not as visible then and gives the stars and Milky Way a time to shine! You can keep an eye on a dark-sky calendar to know when the best times are. ─ Have a weather app ready. A weather app will help you determine the percentage of clouds in the air. If the clouds are too dense, you won’t be able to see the stars clearly. ─ Don’t buy a telescope, just bring along your binoculars. For an amateur stargazer it can even be better because it shows you a wider image of the starry skies. ─ Download stargazing apps. Two highly-recommended, free apps are SkyView, obtaining very positive reviews, and SkEye, for the more advanced astronomy enthusiast. ─ Dress accordingly. Whatever the season may be, the evenings can be cold, so be sure to dress in layers and have a warm jacket and a blanket ready. Gloves are important if you’re using a telescope or binoculars. ─ Pack a picnic basket. Sitting outside can leave one’s tummy growling! Pack some water and snacks, and remember your flask with some soup or hot chocolate if it’s a bit cold outside. Or, if you’re out on a romantic evening, a bottle of red wine is just the thing!